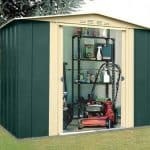 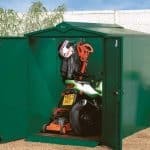 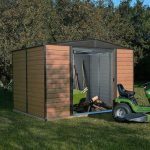 This 8 x 4 lean-to metal shed is great for your equipment, as well as any heavy tools that you may have lying around the garden and need storing. 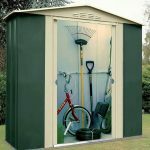 The shed itself is constructed from galvanised steel, real heavy duty stuff that manages well against the elements. 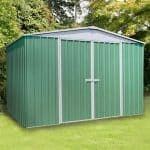 The steel has a base metal thickness of 0.25 mm. 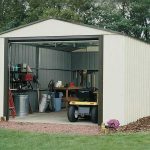 The shed will not suffer any cracking or rusting, and is totally rot and rodent proof. 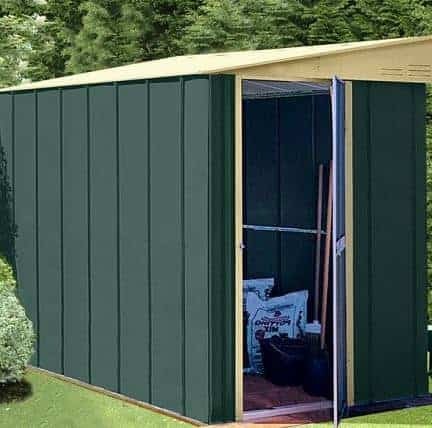 The roof and doors are fully reversible.